Oceana, established in 2001 by a group of leading foundations (The Pew Charitable Trusts, Oak Foundation, Marisla Foundation and the Rockefeller Brothers Fund) to protect and restore the world’s oceans, has conducted “the largest salmon mislabeling study in the United States to-date.” The organization has reported that 43% of the 82 winter salmon samples its investigators tested were mislabeled. 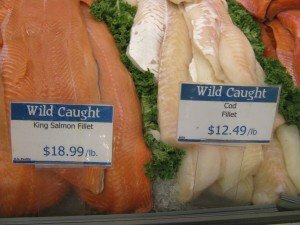 The most common form of mislabeling was farmed Atlantic salmon being sold as “wild salmon.” In addition, there were six instances in which supposed high-value chinook (also referred to as king salmon) was actually farmed Atlantic salmon, and one in which the cheaper chum salmon was sold as king salmon. The mislabeling rates were more than three times higher in restaurants (67%) versus grocery stores (20%). Oceana’s report also notes that “salmon fraud” varied by region as well: with mislabeling highest in Virginia restaurants, where eight of nine samples collected (89%) were mislabeled; eight of 11 samples from Washington, D.C. restaurants were mislabeled; New York City had the lowest restaurant mislabeling rate, at 38% (but New York City had the highest grocery and market mislabeling, at 36%). In an earlier 2013 national seafood fraud report, Oceana researchers found low rates (7%) of mislabled salmon. The organization suggests that the lower rate was likely “because the large majority of samples were collected at the peak of the 2012 salmon fishing season, when wild salmon was plentiful in the market.” Its recent report shows that mislabeling is much more common during the off-season (i.e., in the winter months). Oceana’s recent report was based upon its study/investigation conducted during the winter of 2013-2014 in Chicago, New York City, Washington, D.C. and several locations in Virginia. Eighty-two samples from a variety of restaurants, large grocery stores and smaller markets were identified using DNA analysis at the Canadian Centre for DNA Barcoding in Guelph, Canada. 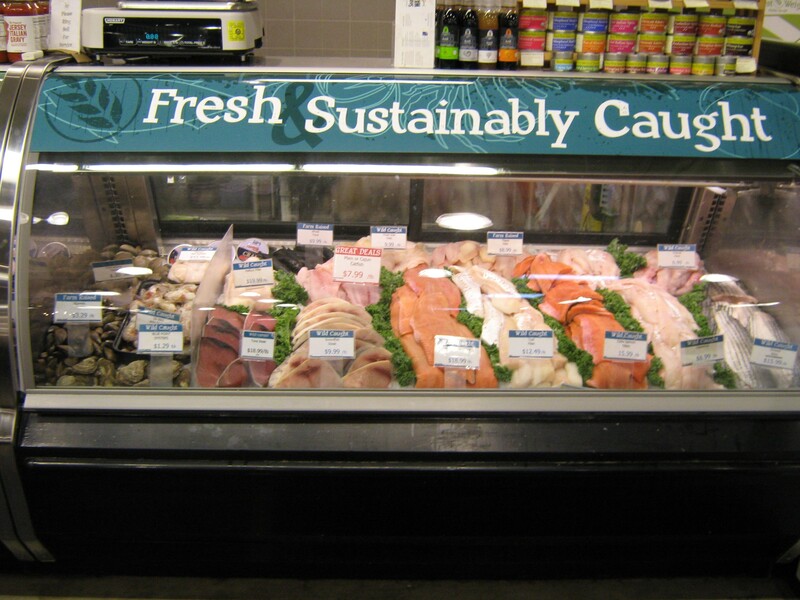 Oceana used a conservative interpretation of mislabeling for its analysis. The FDA’s Seafood List provides acceptable market names for seafood sold in the United States. 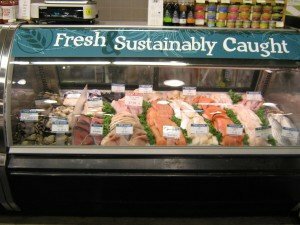 In the case of salmon, acceptable market names for “wild salmon” (following the FDA principle of using “scientific common names for seafood”) would include coho, sockeye, chinook, pink or chum. However, the FDA’s Seafood List is only provided as “guidance” and according to Oceana “is often not followed when it comes to salmon.” Salmon is commonly sold as simply “wild” or “Pacific” salmon. If a sample labeled as wild, Pacific or Alaska, but with no species common name, was analyzed and determined to be “sockeye,” for example, Oceania’s investigators did not consider it mislabeled (even though a small amount of Pacific salmon is now being farmed). According to Oceana, the United States “has some of the highest-quality salmon, caught by responsible fishermen, in some of the best-managed fisheries in the world.” Through its “fishermen catch,” the U.S. has “enough salmon to satisfy over 80 percent of our domestic demand.” (Salmon are caught commercially in Alaska, Washington, Oregon, California and even Michigan (after being introduced to the Great Lakes), although Alaska catches 95 percent of the salmon in the U.S.) However, on average, 70 percent of that fishermen catch is exported instead of staying in the U.S.
Farmed salmon makes up an estimated two-thirds of the salmon consumed in the U.S. each year, and the vast majority is imported from Chile, Canada and Europe. Salmon farmed in Chile, and certain farms in Canada, Scotland and Norway that use “open-water net pens,” are rated as “avoid” by the Monterey Bay Aquarium [MBA] Seafood Watch due to their negative impact on the surrounding environment, the potential for disease transfer to wild populations, and the liberal use of antibiotic and pesticides. 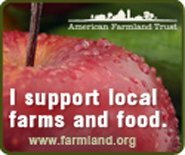 Further, according to MBA Seafood Watch, the feeds used on many farms can be highly inefficient, requiring between 1 and 3 pounds of wild fish to produce enough fish oil for 1 pound of farmed salmon. Oceana proposes “that all seafood have catch documentation as a condition to market access.” The organization points out that if more Americans were aware of these issues, “we might see a purchasing shift toward the more sustainable, domestic salmon.” People need to know where their fish was caught or if it was farmed as well as its real name. Kudos to Oceana for these three common sense guidelines for consumers: (1) Seafood buyers should ask more questions, including what kind of fish it is, if it is wild-caught or farm-raised, and where and how it was caught; (2) Support traceable seafood since “Products that included additional information for consumers, like the type of salmon (chinook, king, coho, etc), were less likely to be mislabeled;” and (3) Check the price and if the price is too good to be true, it probably is.